For over 50 years, the guilds of CHOC Children’s have been working to raise money for the many needs of the hospitals and outpatient clinics and services. Since the first Guild was organized in 1962, these dedicated volunteers have raised over $37 million for CHOC. The purpose of the Guilds is to raise the community’s awareness of CHOC Children’s and CHOC Children’s at Mission Hospital in Mission Viejo as well as to raise much needed funds in support of CHOC’s mission to nurture, advance and protect the health and well-being of children. The Guilds raise money in a variety of ways and have been active in community events since their formation including the annual CHOC/Disneyland Resort Walk. In addition, Guilds organize fund-raising events such as fashion shows, golf tournaments, dinner dances, home tours, boutiques, theme parties and other special events that appeal to their membership and constituencies. Those interested in becoming a member of a Guild, contact Lois Augustine at 714.509.4140, or email laugustine@choc.org. Click here to find a guild in your area. Our guilds exist to acquaint the community with the mission and needs of CHOC Children’s and to support the Hospital through service and fundraising. 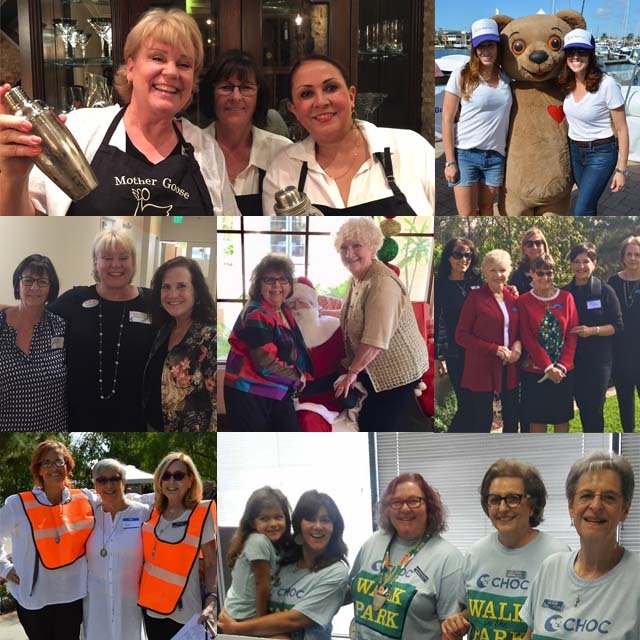 The CHOC Glass Slipper Guild is a dedicated and passionate group of local women from coastal orange county who work together to support CHOC Children’s by raising awareness, and funds, in their community. Through events like their annual Gala, they are able to engage their local community to raise money for the hospital’s greatest needs. This video, from the 2014 CHOC Children’s Glass Slipper Guild Gala, highlights this stunning event at the Big Canyon Country Club in Newport Beach. The Glass Slipper Guild was established in 1994 after 10 years as the Cinderella Guild Juniors. The guild’s purpose is to acquaint the community with the mission of CHOC Children’s and support the many needs of the hospital through fundraising efforts. Made up of a passionate and dedicated group of women who live in Orange County, the Glass Slipper Guild is currently working towards a $2 million pledge supporting CHOC’s rapidly evolving Fetal Program. Additionally, the guild participates in a variety of social and volunteer events throughout the year, while also supporting CHOC Children’s community and all-guild fundraisers such as the CHOC Walk in the Park. The Jack & Jill Guild members have been dedicated to the needs of CHOC Children’s since it was charted in 1962. We are a diverse group of women who build life long friendships while volunteering our time, skills and talents for CHOC. Together we have raised over $5 million dollars. Our common goal is to help children get the best possible healthcare. We are currently designating all funds raised go to CHOC Children’s state-of-the-art Radiology/Imaging Department. The majority of children need their specialized imaging equipment and services. Contact us if you would like to join us in our efforts. The mission of the Lamp Lighter Guild is to support CHOC Children’s Hospital, by means of bringing community awareness and fundraising, to provide the highest-quality care possible to the children in our community. We were formed in 1962, two years prior to the opening of CHOC Children’s. We have raised over $1.2 million for CHOC since the guild was chartered, which has included fulfilling pledges for: the mental health in-patient center, clinic exam rooms, child-life services, community outreach and CHOC’s greatest needs. The Littlest Angel Guild is a welcoming multigenerational group of women dedicated to children and our community. The Guild hosts fund raising events and social activities that have raised over $6 million to support CHOC since 1965. Membership: Connie Vargo or Debbi Charlton at contactus@littlestangelguild.org. Chartered in 1969, the Los Ninos Guild serves the areas of San Clemente, Dana Point, San Juan Capistrano, and Laguna Niguel. Through the years, the Los Ninos Guild has raised over $1.3 million dollars towards CHOC's specialized programs in the areas of education, clinical research, community outreach, literacy, trauma care, and neonatal care. For membership inquiries, contact info@losninosguild.com. Chartered in 1962, the Mother Goose Guild was the first Guild established before the hospital was completed. For over 50 years, the members have enjoyed putting on their annual Christmas Tree Brunch. They like spending time with each other, supporting one another through life’s challenges and working together for a great cause! Chartered in 1970, the Small World Guild is a casual and diverse group of women of all ages. They enjoy raising money and providing services for the many needs of CHOC Children’s. They share a monthly guild newsletter and enjoy social gatherings during the year. Membership: Please contact Cindy Lamm at lammfamily@cox.net.